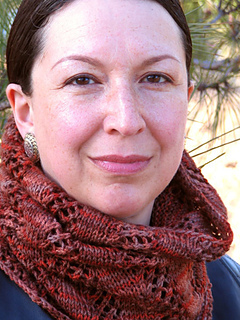 Listado Cowl is sized two ways, a little neck warmer, and an elegant whole head covering; either way this is a fast and simple ribbed lace cowl worked entirely in the round! Once you get the hang of the 4-round stitch repeat it is smooth sailing. 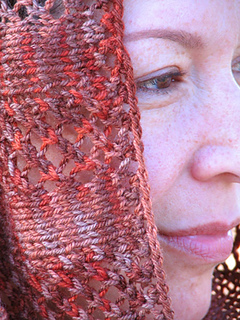 The small cowl takes around 130 yards, and the large one around 260 yards. 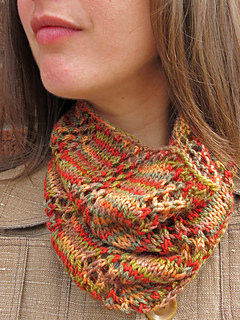 This cowl is a serious stash buster for your finger weight leftovers! 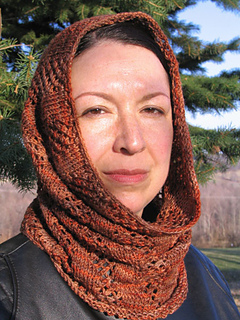 SPECIAL: If you have previously purchased Listado Cowl from Nelkin Designs you will automatically receive a $3 discount at checkout when you purchase Reversible Listado Cowl! 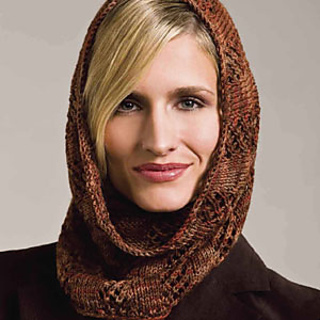 If you haven’t and purchase both patterns then you will be automatically discounted $3 at checkout.